Converting your loft is the cheapest way of extending your property. 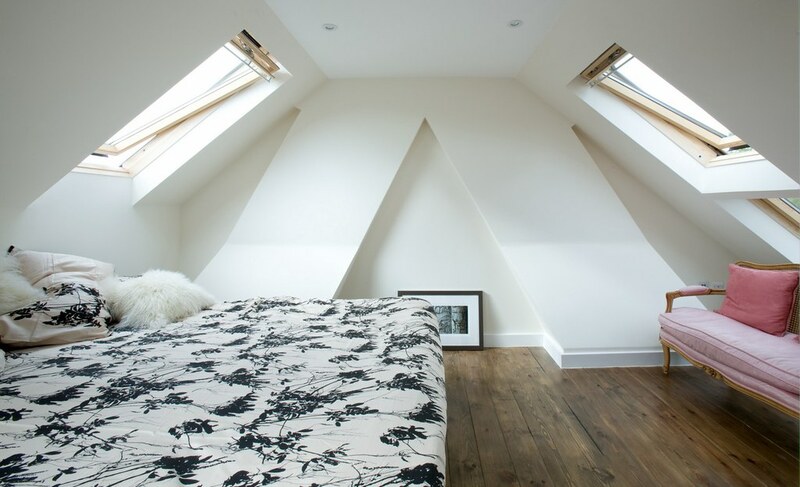 When carried out correctly, a converted loft can make for a cosy extra bedroom or the perfect study/office for you to get away from the other distractions of the house. There’s a lot to consider when transforming one’s attic. Whether you’re taking a DIY approach or hiring professionals to do it for you, it pays to make thorough plans before making any lofty decisions. Here is a step-by-step guide that may help you when attacking your attic. Not all lofts are suitable for conversion. You should first make sure that the head height is greater than 2.2 m. You can measure this from the bottom of the ridge timber to the bottom of the ceiling joist. If too small, you may have to consider raising the roof. You should also consider the pitch of the roof and whether it suits the purpose of your conversion. Measure the dimensions of your bed and wardrobe to get a good idea as to whether you could suitably place such furniture in your loft. The final thing to consider is the roof structure. Pre-1960s houses can often be surprisingly much stronger – made of a frame-type roof. Post-1960s houses may often be less suitable, consisting of factory-made roof trusses. If this type of roof is the case, you may need to further strengthen it with extra steel beams first. You don’t need planning permission for every loft conversion, but it’s best to be safe and check with your local planning department first. If you are raising the roof, you will need permission, as tis extension could create extra shade that blocks out someone’s garden. Similarly, if you’re altering the frame of the roof, your planning department may wish to inspect it to check that it meets safety regulations. When converting your loft, you should look at budgeting for a minimum of £15,000. This covers your basic loft conversion including insulation, stairs, reinforcing the floor and connecting up utilities. Loft extensions can cost anything from £20,000 to £55,000. Costs may differ depending on whether you are hiring a company or doing it yourself. Whether you save up the money yourself or borrow from a loans website, you should make sure that your budget is enough to cover the basic costs. A building surveyor or architect may be able to draw up a detailed plan including precise costs. Note that a loft conversion can increase the worth of your property by 20%. In some cases mortgage companies may be willing to provide a loan for home improvements, which will be added to your mortgage. If you have home insurance you should make sure you warn you provider before making a loft conversion. Some home insurance schemes will be invalidated if you make a change to your property without telling your insurance company. In some cases, your premiums may be raised although some conversions may have little effect on risks. Insulating your loft will stop it from losing heat in the winter. This is a requirement when converting your loft so that property complies with energy laws. There are two types of insulation – ‘cold roof’ and ‘warm roof’ insulation. ‘Cold Roof’ insulation is carried out with slab foam or rockwool insulation and can be taken on by a DIYer, but it can be a time consuming job. Professional companies have the ability to spray on insulation quickly and efficiently. They are much more suitable for ‘warm roof’ insulation which can be more complex. You should check for any cracks or holes that may be losing you heat. A surveyor will be able to pick up on tiny details that may need addressing – sometimes a stray nail or ‘shiner’ can affect insulation or pose a risk to leaks. In some cases tiles may also need to be replaced. If you are turning your loft into an upstairs bedroom, you may wish to fit an en suite bathroom or a toilet. Generally a plumbing company will be able to add on to an existing system, but there may be times when it needs upgrading. This may add on extra costs. If water in other parts of the house already has a poor flow rate, you may also need to insert a pump. This will ensure that water is able to reach all parts of the house. Creating a staircase can be one of the more complex jobs when converting a loft, but may be necessary if you don’t want to have to climb up and down a ladder. There are many requirements that must be met when building a staircase. The maximum step rise should be 220mm and each staircase should have no more than 16 steps (although most properties generally require no more than 13). Step depth should also be 220mm and the pitch should not be too sharply angled. Balustrading meanwhile must be a minimum of 900mm above the pitch line and any spindles should have a separation distance that a 100mm sphere cannot pass through. As for the roof above the stairs, this should be a minimum height of 2m, although in practice this can depend a lot on the layout. When fitting stairs into small spaces, spiral staircases may be more appropriate, although generally this is more expensive. In some cases, altering the size of a room below may be needed to fit in a staircase. As explained earlier, some post-1960s houses may need extra ceiling support in order to comply with regulations. Rolled steel joists may be needed to give the roof more structural integrity. In most cases, a structural engineer will have to examine the roof to tell which changes will need to be made. Adding in windows and doors may require extra joists in order to distribute the load. The most straightforward method of window is a rooflight. These follow the pitchline of the roof and let in the most sunlight (they’re also great at night for staring up at the stars). Adding a rooflight may involve removing battens and tiles, as well as rafters. A frame will then be added into the space for the pane to go into. Dormer windows are more complex but may be more appropriate where the pitch angle is too sharp. They can help extend a loft and give it more space (although this will be something that will have to meet planning permission). Dormers aren’t something that can be taken on by your average DIYer and often require opening up the roof and cutting specific timbers to size on site. Some loft installation companies will produce a dormer off-site and then lift it into place. This is a quicker installation process and allows for easy weatherproofing. Habitable loft conversions need to have an easy escape in the event of a fire. If you are having a ladder leading up to the loft, there will have to be an outside fire escape staircase somewhere as an alternative quick escape, either leading off a dormer or another part of the roof that isn’t pitched. You may also want to fit a smoke alarm and a fire resistant door. Fire safety regulations may vary depending on how high up your loft conversion is (a loft extension on a bungalow may not require as stringent laws as a two storey building). For Quality Loft Conversions Speak to The Specialists – RoofTopRooms!